It's time to give Windows 8's modern-style apps some respect. Admittedly, some Windows Store apps are inferior to their desktop cousins. But many others take advantage of the full-screen modern (also known as "Metro") interface to provide a different and better experience. With an open mind and a little TLC, your Start screen can be a great resource. Here are four ways you can get the most out of modern apps. These five apps are free and provide a compelling reason to visit the Start screen. Flipboard—This beautifully designed “personal magazine” app has been a staple of tablets for years and has recently arrived at the Windows Store. Facebook—Another new arrival, needing no further introduction. 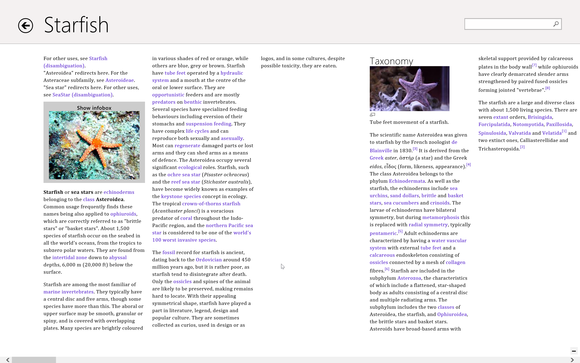 Wikipedia—Though it closely resembles the traditional browser view, this Windows 8 app has a level of design and polish that makes wasting time on Wikipedia more fun than ever before. The Windows Store Wikipedia app is a lot more polished than the browser view. 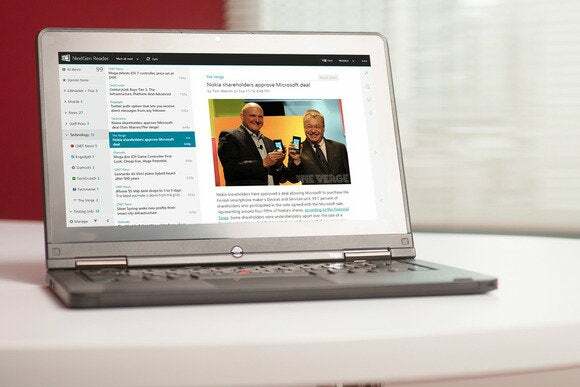 Netflix—There’s no shortage of ways to stream content from Netflix these days, but the app for Windows 8 is the easiest, most attractive way to do so from your PC. Toolbox—The quirky Toolbox is designed to give you quick, multitasking access to a number of useful tools, such as a calculator, a clock, and a weather report. A clear advantage Modern apps have over regular applications is their “live tile” functionality, which displays information directly on the Start screen without having to open the app. These five apps make the most of the new visual scheme. Clock—Windows 8’s clock-deprived Start screen is puzzling, but tons of developers have stepped forward to fill this basic need. Among the dozens of free options, we like Alarm Clock HD, which looks nice and provides a number of additional small features. Mint.com—In addition to providing a quick live-tile look at your finances, the Mint.com app is an all-around excellent way to track all your budgets and bank accounts. Twitter—Keep up with your feed with the new official client for Windows 8. 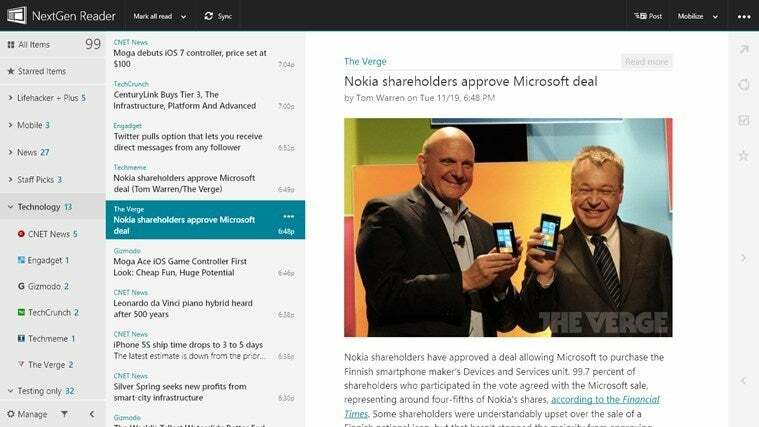 Keep track of your content streams with NextGen Reader. To-dos—Culled from a raft of contenders, this free option does a particularly good job of displaying a simple to-do list in a live tile. NextGen Reader—RSS fans, this app can manager your content stream with great live-tile support. To get the most out of Modern apps, make sure your Start screen is well organized, with your useful live tiles right where you want them. You also want easy navigation to the app of your choosing. Master the basic controls for moving around Metro tiles. Click, hold, and drag to rearrange tiles. As you move them around, you’ll see that the Metro interface automatically tries to keep your tiles bunched together in vertical groups. If you want to start a new group or have an icon in a column all by itself, drag the tile into the space between two columns. You’ll see a light-gray vertical bar appear, which means a new column will be created. Drag a tile between two columns to create a new group. By default the Start screen doesn’t include any labels, but you can create text headings for each group of apps. To do so, right-click once on any tile, or right-click on empty space and then click on the Customize button. This will show you the label fields for each of the tiles groups. 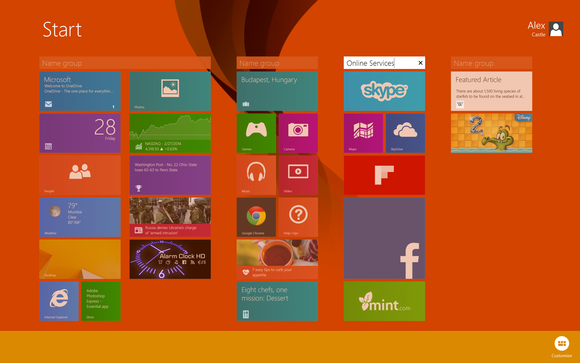 Windows 8 lets you create headings for organized groups of tiles. When you right-click on a tile, you also have the option to resize it, from the miniscule “small” to the double-wide-and-tall “large.” You could make all apps in a particular group the same size, but throwing in a few larger tiles breaks up the grid and makes it a lot easier to navigate the Start screen at a glance. Also, note that apps with data-heavy live tiles benefit most from the larger tile treatment. With Windows 8.1, developers can create Modern tiles for any program, but almost no traditional applications take advantage of this ability. You're pretty much stuck with bland, ugly little icons that you can’t resize. There is a way to spruce up your legacy software’s live tiles. It’s a free, compact app called OblyTile. You don’t have to install anything, just download and run the executable. 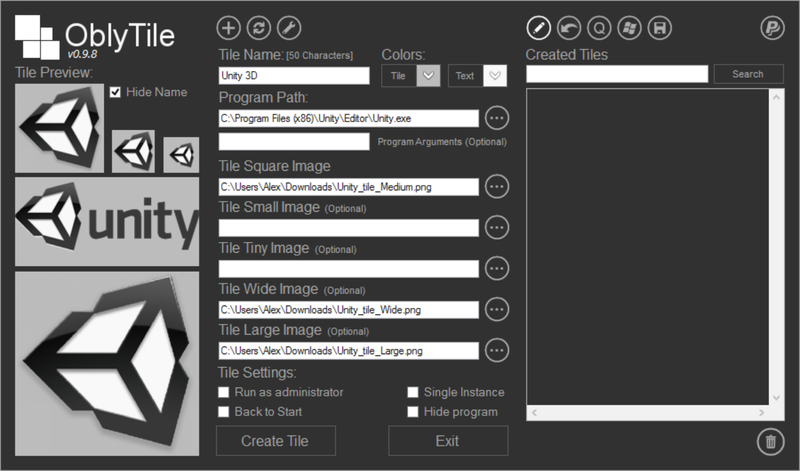 You’ll see a number of fields that allow you to create custom tiles of any size for any application, folder, or website. Enter the address you want the tile to launch into the “Program Path” box, then add an image to display as the tile. You can add a different image for each tile size. Alternately, you can just enter one for the size you intend to use, and OblyTile will try and squash and stretch the image as best it can for the other sizes. 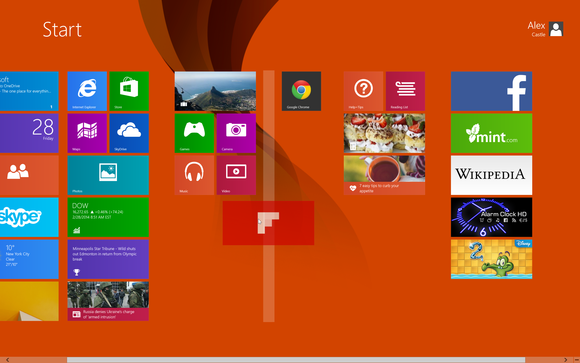 Once you’re done, click “Create Tile,” and your new, custom live tile will be placed directly onto the Start Menu. 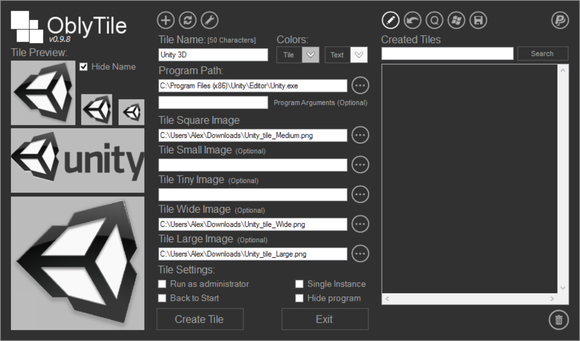 You can create live tiles for desktop apps with OblyTile. Incidentally, if you ever want to do just the opposite—create a desktop shortcut for a Windows Store application—OblyTile can do that too. Just click on the button toward the left of the top row that looks like the Windows logo. You’ll see a list of the Windows Store apps installed on you system. You can choose any of them and click a button to add a shortcut for that app to your desktop or taskbar. We know Windows 8 can be a shock. But if you take a deep breath and give the live-tile look a chance, you just might see that they can enhance your software management in ways Windows 7 and Windows XP users could never have imagined.